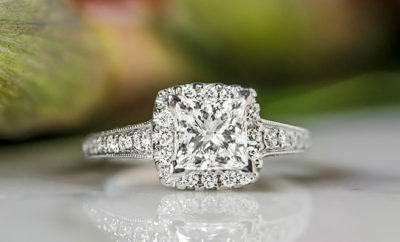 How to Find Her Ring Style - Shane Co.
You’ve decided it’s the right time to propose, now you just need the right ring. Seems simple enough. Then you walk into the store and find there are different metals, colored sapphires and thousands of gorgeous styles to choose from. The best way to know what’s right for her is to do a little research first. If she wears a lot of jewelry that is delicate and subtle, you might want to lean toward a setting with a thin pavé band, as it’s something she’ll feel comfortable adding to her everyday look. If she has a lot of chunky necklaces or larger bracelets and rings, a more decorative halo may suit her better. Also look at the color of the jewelry she already owns. Is it classic yellow gold, modern white gold or a trendy rose gold? Knowing what metal color she prefers can help narrow your search. 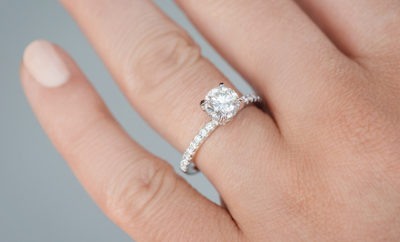 Pinterest has a plethora of engagement ring images she can save and share with the world. Take a look at her boards to see what’s caught her eye most. If there’s a particular style that pops up again and again, that might be the one! Also take a look at her Twitter. Has she shared any engagement ring photos she likes? Social platforms are a great way to look for hints. If you’re just not sure what style is best, why not let her pick the ring? You can do so without ruining the surprise by proposing with a classic solitaire setting that really shows off the stunning center diamond, then bring her back into the store to exchange the simple setting for the ring of her dreams. 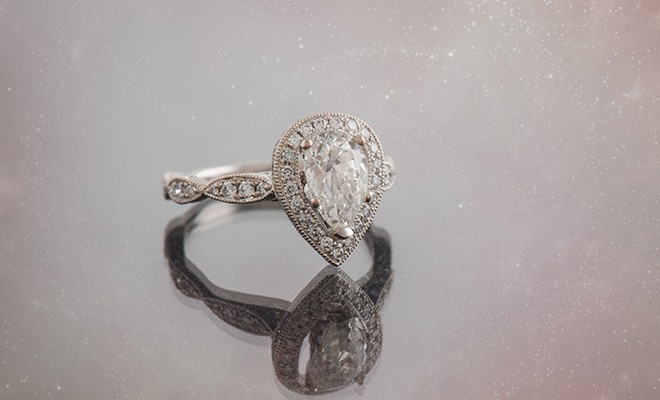 Shane Co. allows you to return the ring within 60 days of purchase! Monica began working at the Shane Co. store in Walnut Creek in October 2015. As a Sales Associate, she spends her days helping customers shop for all types of jewelry, from small birthday gifts to engagement rings. Her favorite thing about working at Shane Co. is the team environment and how everyone works together. When she is not assisting customers in the store, Monica spends her time reading and shopping.